Screw-in aid for all common ring insulators and fencing tape insulator Art. No. 44629. Suitable for ring and tape insulators Art. No. 44690 + 44693. 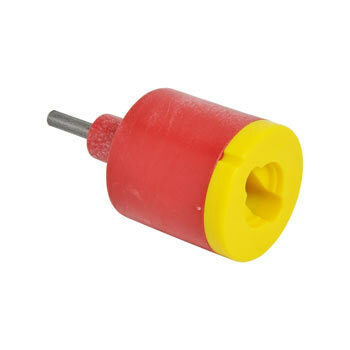 Very robust insulator screwdriver for ring insulators. Electric fences do not generally require a lot of time or effort, however, you should be aware that many elements need to be considered. Once you’ve erected the right type of fence for your purposes and set it into operation, you must regularly check the voltage with a fence tester. 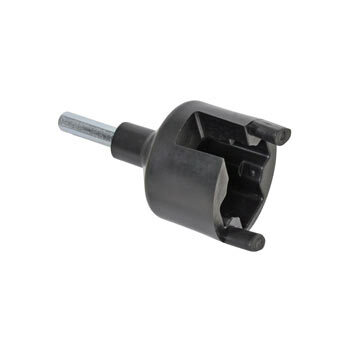 You will require replacement parts, supplementary insulators or accessories over time. To facilitate repairs, replacements – and of course the installation itself – it’s worth investing in screw-in supports for electric fence insulators. Electric fence insulators are required for connecting the conductor to the fence post. Clipping the conducting material into them or feeding it through them ensures that the electric circuit is maintained and builds a solid framework made up of posts and conductors. As the name suggests, electric fence insulators also provide insulation against electricity so that this does not flow wasted into the ground. Therefore, electric fence insulators have two important roles and should not be underestimated under any circumstances. They are designed for easy mounting while remaining firmly in place. You may wish to use a screw-in support so that you can achieve your aim quickly and easily. Like the insulator itself, screw-in supports for insulators come in various designs so that everyone can find the right product. Screw-in supports are designed for use with conductors such as tape, rope, wire and polywire and either have a clip or a ring. Ensure additional safety by opting for line insulators or corner insulators which have a metric thread and include nuts in the scope of delivery. For other models, insulator screw-in supports are a worthwhile investment. Insulator screw drivers – compatible with rechargeable drillers and drilling machines – are multi-talented tools which ensure high precision and thus determine the success of your electric fence. Affordable yet high-quality electric fence insulator threads are extremely easy to use. 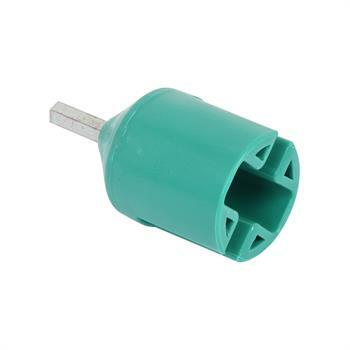 Basically, they help save time and effort when attaching your insulators.